It's snowing outside and I am relaxing watching my tanks and surfing web. Figured I would introduce myself. I live with my family up in Spanaway, WA. 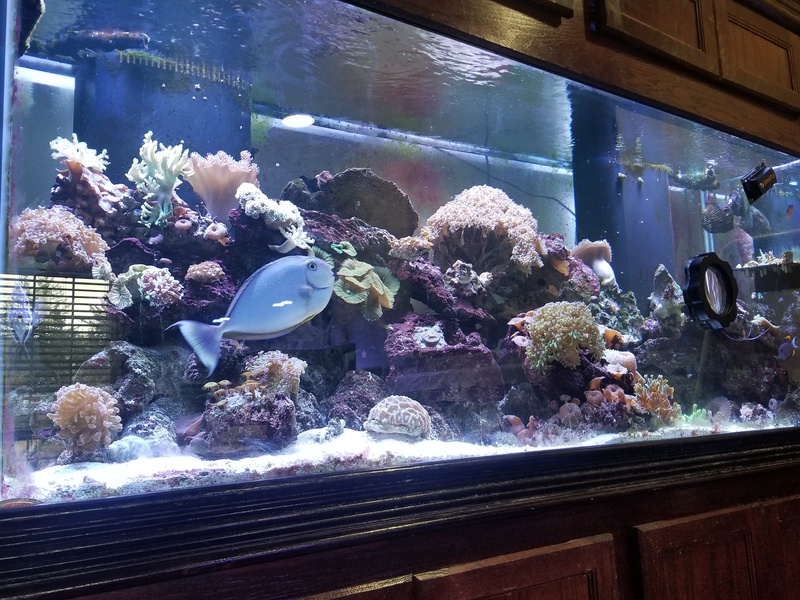 We have several tanks running from 10g all the way up to 210g reef. I started with a gold fish when I was younger then moved on to larger fresh water tanks. 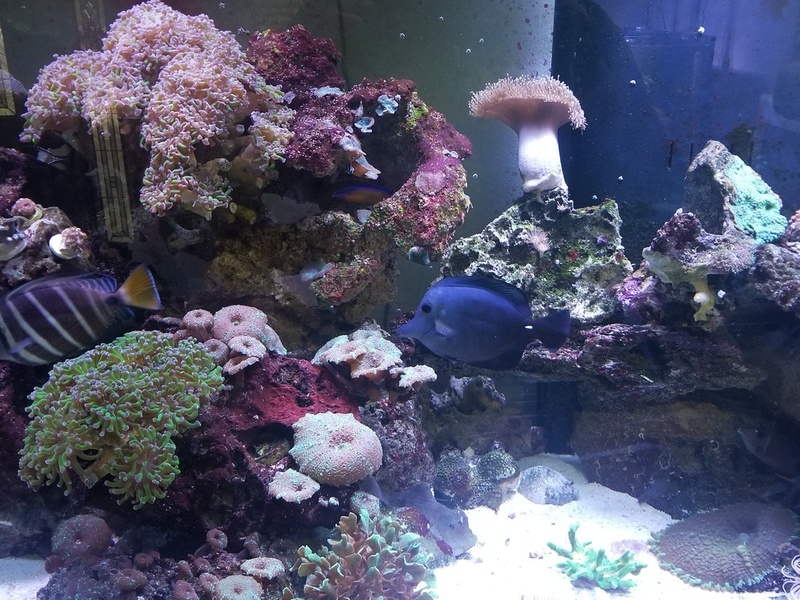 A few years back we bought our first saltwater tank. Now that is all we have. 10g gallon nano with a really small purple tang. In the works once i figure how to get it to level out without building a new stand. 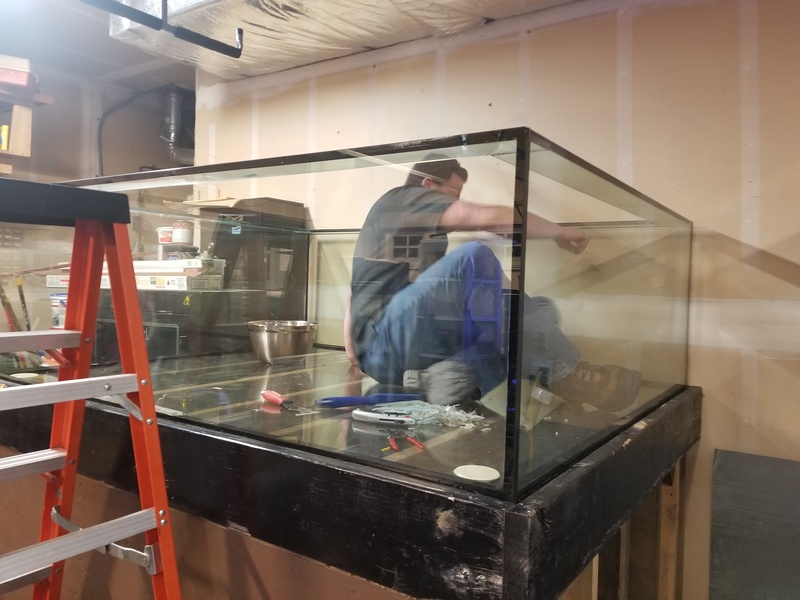 450g 5'x6'x2' tank. Sharks will be living here. For lights, I mostly run AI primes, 26hd and 52hd. 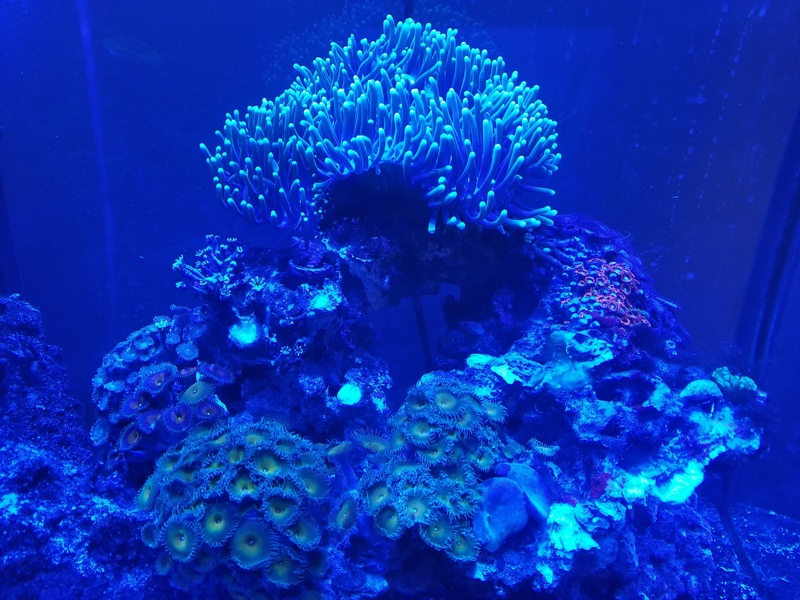 I have other lights too from Kessils ap700, an older reef breeder to straight t5. For skimmers I mostly use reef octopus. External on the display tank and internal for the rest. I have other brands but now I only run reef octopus after so much annoying pump and skimming issues with other brands. Welcome to the Pacific Northwest Marine Aquarium Society. I'll post a few more pics. Welcome! Nice collection of tanks and some pretty large fish in that 210. Looks like the sharks are getting a sweet new tank there! Thank you everyone. Yes the sharks will be a lot happier. 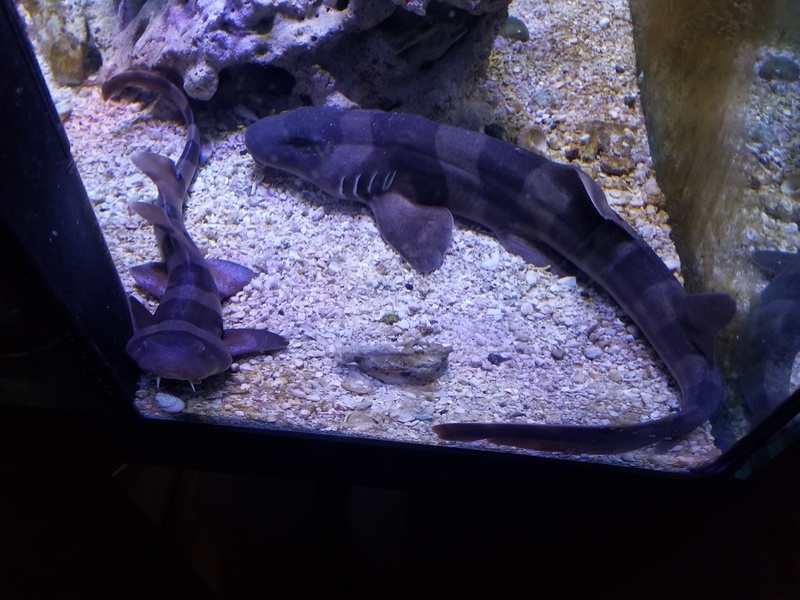 They spend most of the day not moving much but as soon as the lights start to dim they become active. Just doing circles around the tank, hunting for food. It's easy to tell when to feed them. 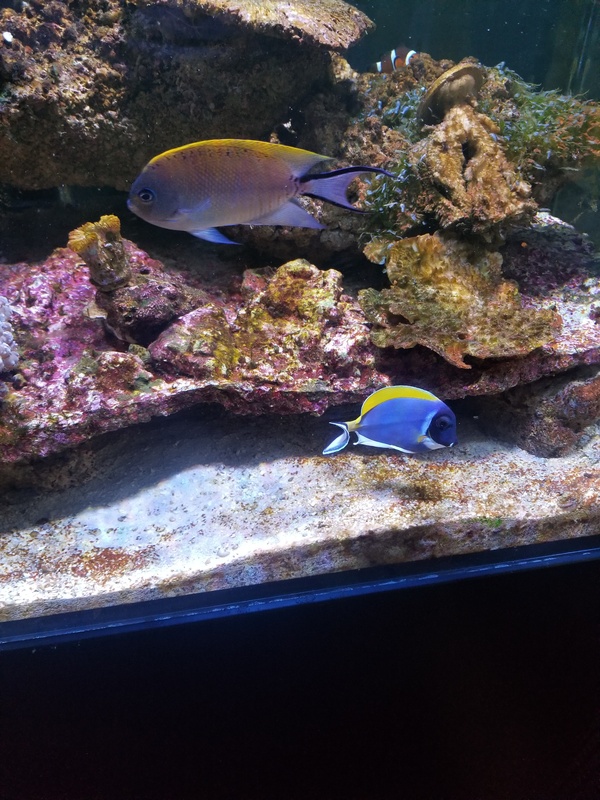 I have a few large ones black/scopas hybrid tang, salifin, vlamingii, brown tang, koran angel, a fat snowflake eel, and a regal angel. Most of them we bought when they were common lfs size fish now they are all grown up. Well some are all grown up. I have only bought a couple of large ones. The Koran Angel I have had for the longest, he has gone through several tank moves and a house move. Now lives in my predator tank as he is extremely aggresive to other fish and has a large appetite for coral. I have lost several colonies to him. One our favorites is our tiny purple tang though. When we got him he was just under an inch long. The only reason we got him was his perfect coloring. Most of the ones you see have some kind of color blemish. We couldn't put him in any of the larger tanks or he would have been lunch for the larger fish. So he hangs out in my wife's nano with a tiny midnight clown. Once he outgrows the nano in a year or two we will move him on up to a larger tank.